Sweat. It’s the body’s way of getting rid of toxins. So although it may not be the nicest, it’s necessary. Anti-perspirants stop you sweating by clogging your sweat ducts. But sweat is a waste product, and needs to get out of your body. So if you don’t sweat it out, where does it go? That’s one of the reasons I have stopped using anti-perspirant and switched to natural deodorant. But finding a natural deodorant that works is not that easy. Deodorants, whether natural or otherwise, don’t actually stop you sweating. Instead, they work to neutralise the odour of the sweat. It’s a bit strange to start with, if you’re used to using an anti-perspirant, as you do actually sweat. I’ve tried a few natural deodorants, with varying results. But I’ve finally found one that works brilliantly. 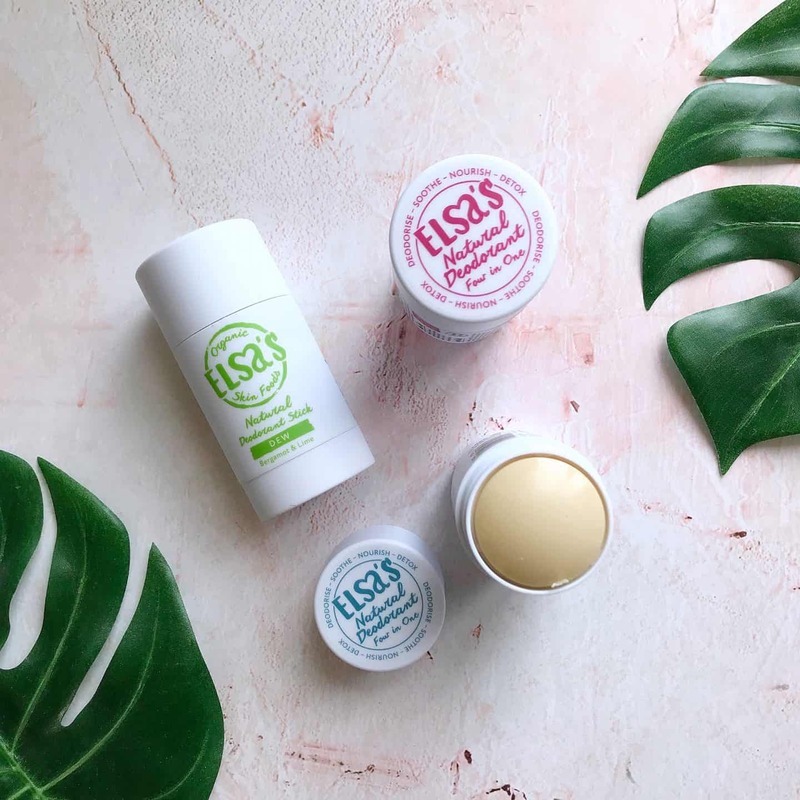 Meet Elsa’s Organic Skinfoods Natural Deodorant Stick. 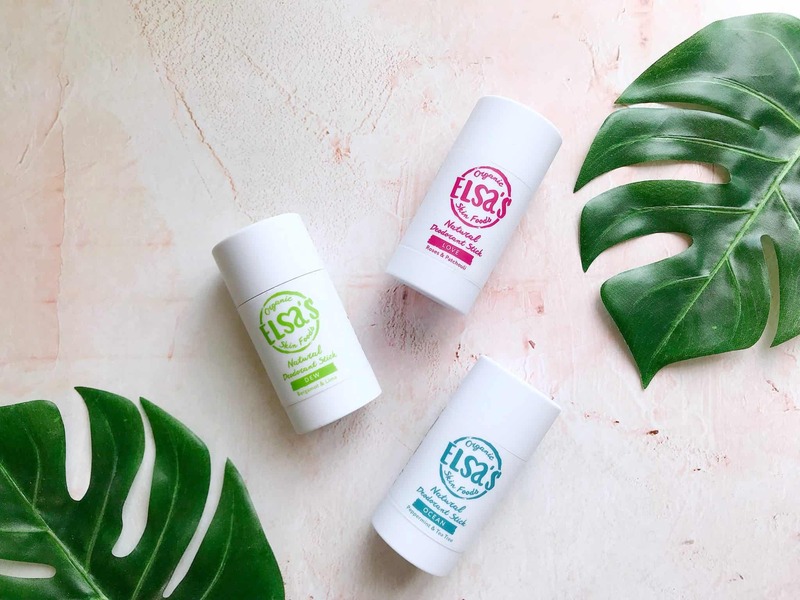 This 100% natural deodorant is available in four varieties and I’ve tried three of them. Dew, (£10 for 45g) which has detoxifying lime and and invigorating bergamot in it*. This is easily my favourite scent and I’ll be buying this one again. Love, (£10 for 45g) which is rose and patchouli scented*. I was hoping this would smell more of roses and less of patchouli but the balance is the other way. Ocean, (£10 for £45) which is minty fresh, with peppermint and antibacterial tea tree*. It smells like toothpaste to me, which is unusual, but not unpleasant. Both the Ocean and Dew fragrances are unisex. This natural deodorant is also available in a fragrance-free version for sensitive skin. I haven’t tried it, and won’t bother as I haven’t experienced even the slightest irritation with any of the other scented varieties, even after shaving. What’s In This Natural Deodorant? 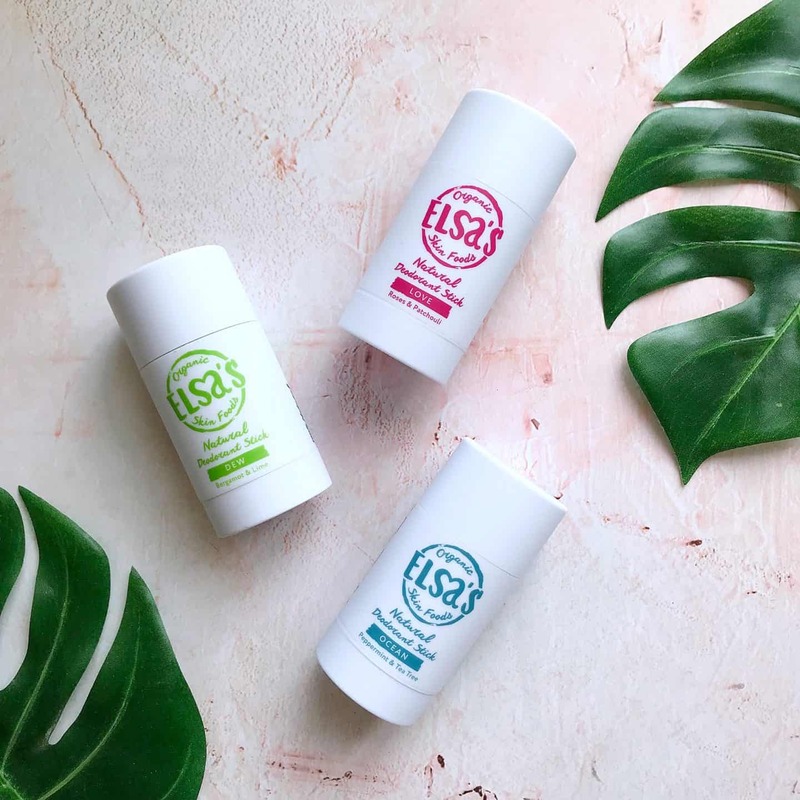 Elsa’s Organic Skinfoods say this “4 in 1 deodorant stick will deodorise, soothe, detoxify and nourish the skin. Its formula is rich in minerals, vitamins, essential fatty acids and easily absorbs into skin cells without blocking the pores.” The formula is based on organic coconut oil which has natural disinfectant and anti-microbial properties. 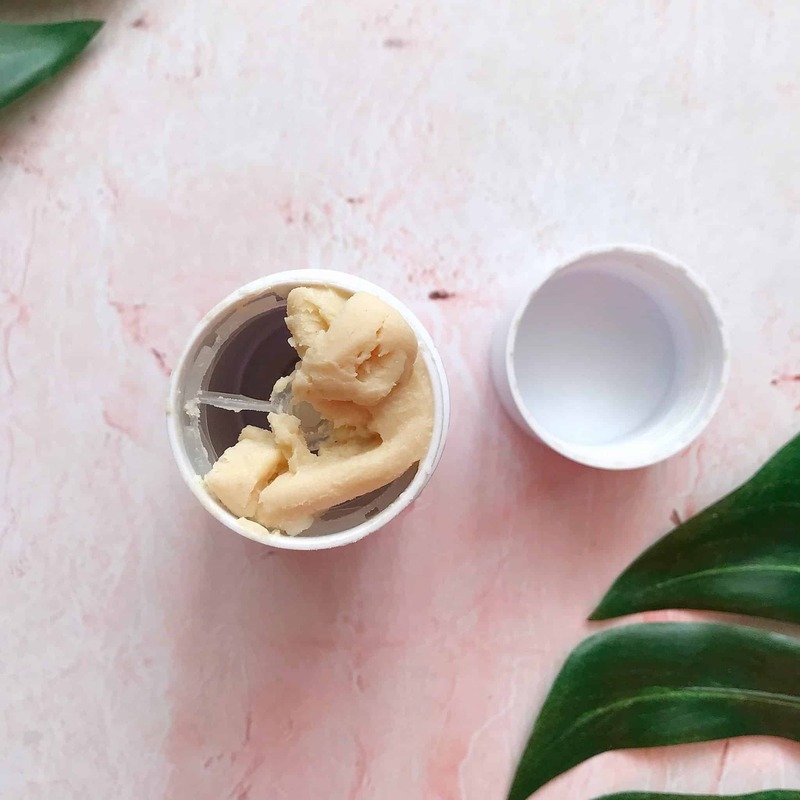 Cocos Nucifera (Coconut) Oil*, Maranta Arundinacea (Arrowroot) Powder*, Ricinus Communis (Castor Bean) Oil, Butyrospermum Parkii (Shea) Butter, Magnesium Oxide, Euphorbia Cerifera (Candellila) Wax, Himalayan Pink Salt, Kaolin Clay, Tocopherol (Vitamin E), Citrus Bergamia (Bergamot) Oil, Citrus Aurantifolia (Lime) Oil, Citral, Linalool, Limonene, Geraniol. *Certified Organic, naturally occurring in essential oils. To use it all, I can just get out a blob with my fingers and rub it into my underarms. It’s a bit inconvenient but better than wasting it! You have to let it rest on your underarm for a few seconds to soften it, before smoothing it over your skin. So Is This A Natural Deodorant That Works? I’ve used these natural deodorants at the gym, in classes where I get so hot my contacts have started steaming up. And yes I do sweat but I don’t smell. The scent of the deodorant comes out more strongly, but no whiff of sweat. 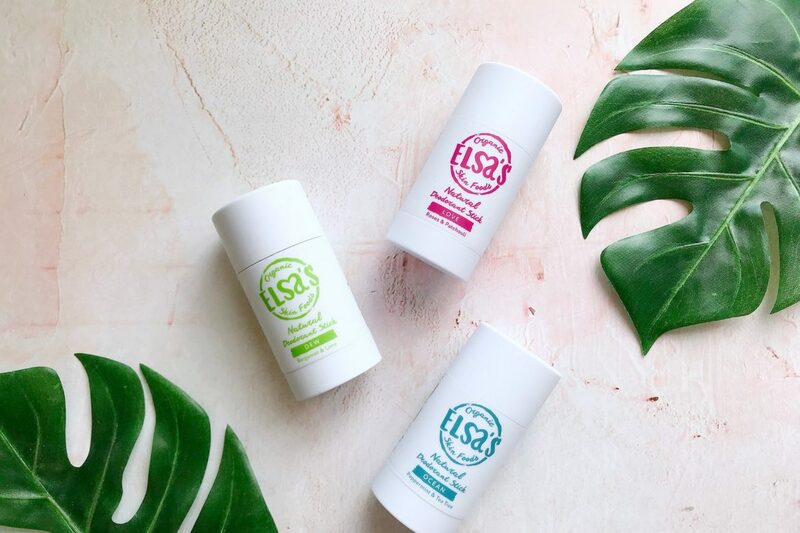 So yes, this natural deodorant works and it works well. The instructions say it’s super concentrated, and a little goes a long way. I think I must be using too much! Although my first tube lasted almost two months, the second only lasted six weeks. So at £10 a tube, I feel that is quite a lot to spend on deodorant. This 100% natural deodorant is made in Britain, and free from parabens, aluminium and alcohol. It’s are suitable for vegans, and wheat and gluten free. They are only tested on humans and the ingredients are all biodegradable. The tubes are BPA free and recyclable, though I would rather they weren’t plastic. So I think this is a great option to try if you are looking for a natural deodorant that really works. Have you ever tried it? What did you think? I used Dew this summer and my armpits felt sticky all day every day and it’s stained my t-shirts. 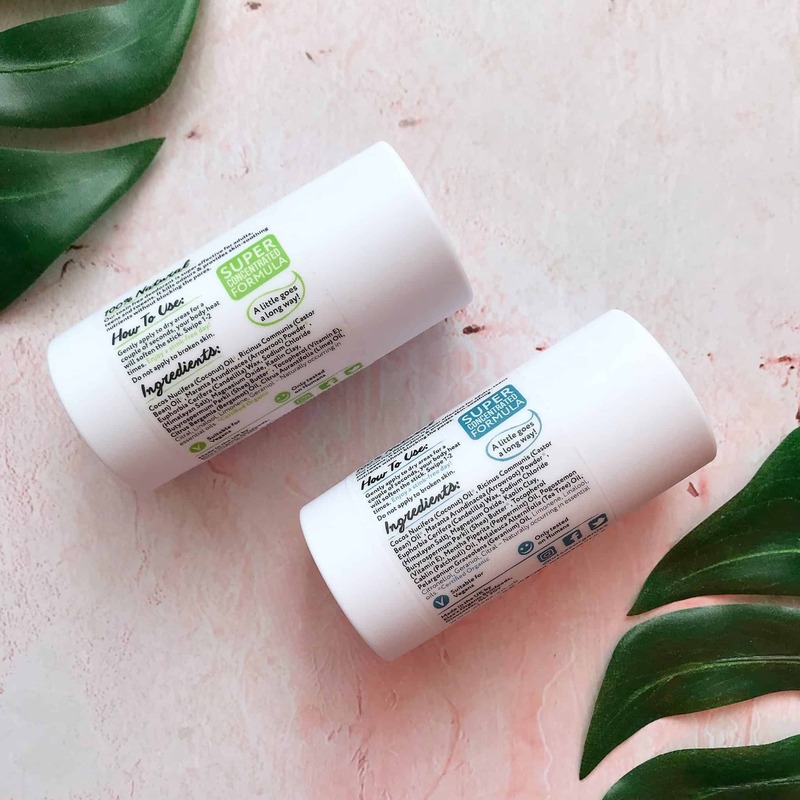 I’ve never used natural deodorants before, so I”m not sure if it is usual for them not to dry or if it was just because we had such a hot muggy summer. I’ll continue using it now that the temperature has dropped a bit, but I’m not feeling hopeful and may have to try out some other brands. I am just waiting for Dew deodorant to arrive from LoveLula and I am glad to read it’s your favourite scent. I like anything zesty and cannot wait to try this one.